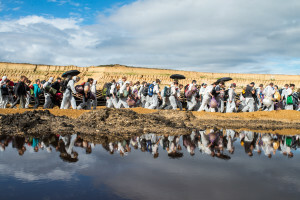 In August 2015, 1500 ordinary people from across Europe entered a lignite mine in the Rhineland and shut it down in a powerful and transformational act of people power (check-out the beautiful photos here). 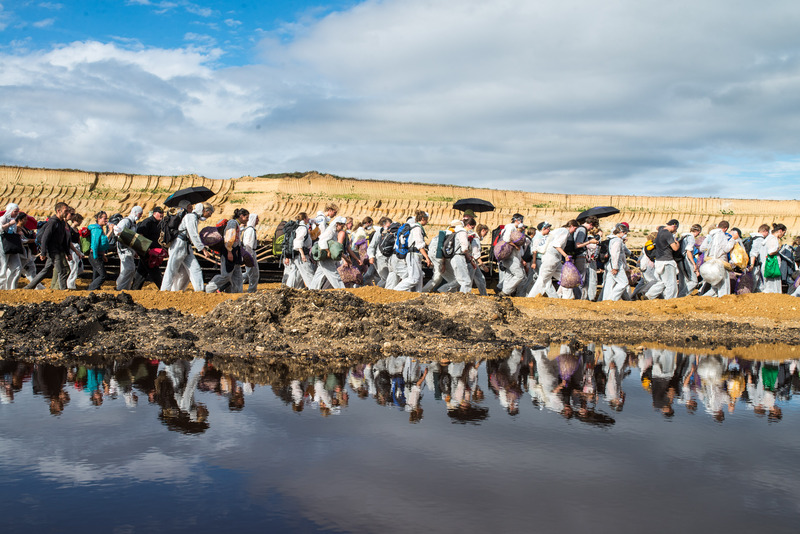 This May, many hundreds more of us will shut down Vattenfall’s coal mining in Lusatia in an unprecedented mass action of civil disobedience. People will be coming from all over Europe, whatever their previous experience, to join this action – anyone can take part! Reclaim the Power won’t be organising coaches (just too expensive sadly) but we do have plans for a small minibus and we will be trying to travel on public transport in groups together – please read on for all the details you need, and register to get updates. The camp and action will take place in Proschim, Lusatia, situated between Berlin (150 km), Dresden (80km) and Leipzig (150 km), near the German-Polish border. Exact location details can be found here. 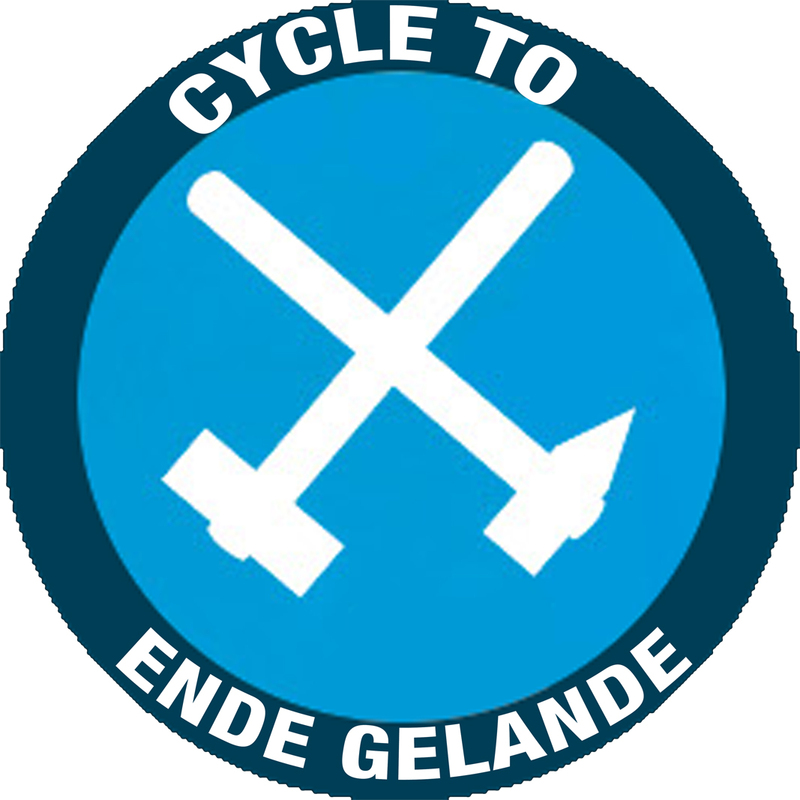 Everyone taking part in the Ende Gelände mass action (Fri 13th – Mon 16th May 2016) is encouraged to arrive by Thursday 12th May to allow time for trainings and team building. The Lausitz Camp runs from 9th – 16th May for those that can arrive earlier. The Reclaim the Power minibus will be leaving from London – see here to sign up. For independent travel, websites Loco2 (where you can easily buy train tickets for the whole route) and Seat61 are always helpful with train travel, and bus companies such as FlixBus offer cheap options. Blabla car can also help with liftshares. If you’d like to organise and register a bus from your area there’s guides on the Ende Gelaende travel page. Travel bursaries from Reclaim the Power will be available for those that need it. We don’t anticipate being able to cover the full price, but can make contributions. Contact finance@nodashforgas.org.uk for more information and to apply. The pot is fairly small, and will be allocated on a first come first served basis. People from the Reclaim the Power network are booked onto the following travel routes (click on dates for details) and can meet you at the start of the journey so that we travel together – but you will need to register on this google form so that you can find out the meet up point and contact details. Get booking now to make sure you get a seat! If tickets are no longer available on particular routes please let us know at finance@nodashforgas.org.uk. Shuttle buses will be provided from Berlin to the camp. When you have booked travel DO LET US KNOW so we know who to look out for, and can help coordinate lifts at the other end. The Time to Cycle network is organizing a ride to the Lausitz camp from the UK (and other places across Europe) that can be joined at any point along the way. Leaving from different places in Europe, rides will join up along the way, with the intention to promote clean and slow travel, providing space to learn and discover our land and those who inhabit it. Like a camp on wheels, we will skill-share (eg. Direct action, security in activism and community cooking workshops), eat communally, have film screenings, discover and show solidarity with local groups fighting for a more just world and draw Red Lines along the way at ”places of interest” that we believe need action taken against.